When I was a young lad, allergic to a plethora of common foods including wheat, my parents would give me rice cakes to snack on. Most kids would turn up their noses at the blandness of rice cakes, but I grew to like them since I didn't have that many options. Back then, there weren't many different flavors like there are now. 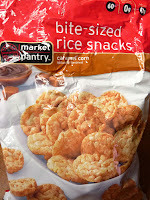 We certainly didn't have caramel corn rice cakes. But now, there are almost as many different rice cake varieties as there are flavors of potato chips. 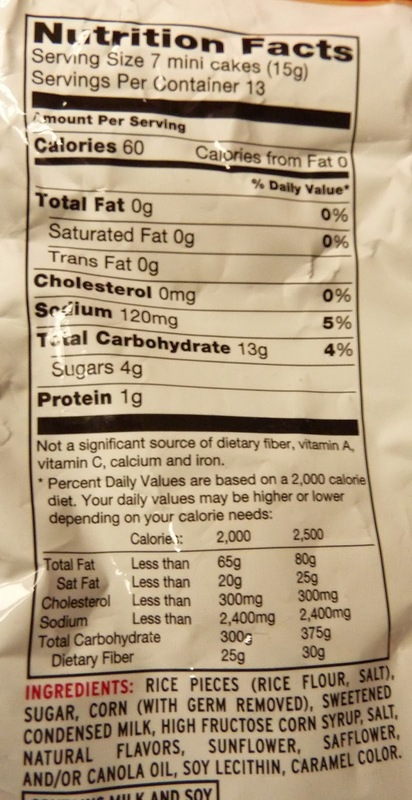 And like potato chips, I'm not sure these lend themselves to dessert-ish flavors. As much as I still like rice cakes in general, I definitely have them filed away under the "salty snack" file in my brain. They go well with cheeses, herbs, and barbecue-ish flavors. 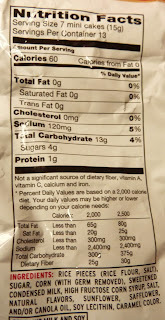 But this product is a good example of why they don't work as well as sweet snacks. The texture of these cakes is a little too rigid. It almost feels like they've been laminated. It's a plastic kind of feeling. 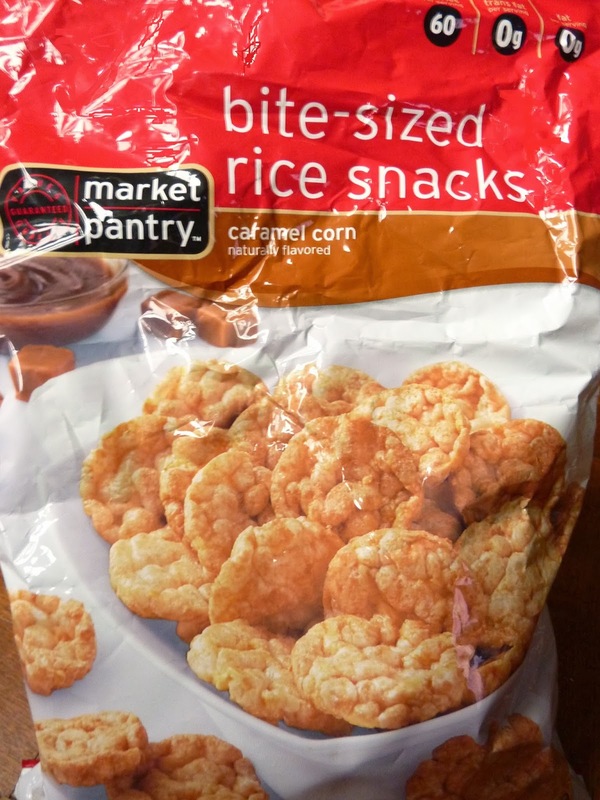 They're both salty and sweet like you might expect from traditional caramel corn (and yes, there's both rice and corn in this product) but the sweet dominates, I would say. The caramel flavor is prevalent, but it doesn't taste like fresh caramel. It tastes fake to me. Originally, we were going to focus only on Archer Farms and Simply Balanced foods, but there are so many things in the Market Pantry line that might be worthy of reviews, that we are considering checking them out from time to time. Although, in my experience—and this product is no exception—I feel like MP products might take the backseat to AF products as a rule. I give these rice snacks 6 out of 10 stars.